“The rule of the right-wing is in danger. Arab voters are heading to the polling stations en masse. Left-wing NGOs are bringing them in buses”. This bluntly racist statement was published during polling day by no other than Israel’s prime minister Benjamin Netanyahu. The statement was a peak of the ultra-nationalist incitement campaign that was launched by the Likud in the last week before the 17 March general election. Netanyahu’s party, the election victor, with a background of growing discontent and revulsion from its rule, to secure victory strived to mobilise the most reactionary elements in society, particularly the far-right settlers’ movement. The outcome of the election is in many ways a result of this mobilisation: Likud’s victory was achieved not at the expense of the rival “Zionist Camp” and the left-leaning liberal Zionist Meretz party but rather at the expense of the parties of the far right. When the election was announced, Naftali Bennett’s colonialist-messianic Jewish Home-Tkuma was widely anticipated to win as many as 15 to 17 seats and Yisrael Beiteinu, led by racist foreign minister Avigdor Lieberman was predicted to win around 10 seats. The Likud was forecast to end up with around 22-24 seats. But the final results were marked by a regroupment within the nationalist right bloc: the Likud have 30 seats, while Jewish Home have only eight and Yisrael Beiteinu only 6. The far-right Kahanist Yachad didn’t pass the voting threshold to win any seats. This was the third general election campaign in Israel that was launched after a bloody onslaught on Gaza. This time the war, which resulted in the slaughter of more than 2,200 Gazans, was more prolonged, with a much more severe nationalist-chauvinist mood in Israeli society. When this is taken into account, the victory of the right in the election is quite limited. In total the bloc of Likud, Jewish Home and Lieberman got 44 seats — just one more than their number in the 2013 election. The Zionist Camp – an electoral bloc of the Labour party and Tzipi Livni’s Hatnua party – taken together with Meretz, got 29 seats – two more compared to the performance of these three parties in 2013. However their increase in votes was smaller than the increase for the pro-Netanyahu bloc. The “Joint List” – an electoral alliance of the Arab-Jewish Hadash, the Palestinian nationalist-liberal Balad and Ta`al, and the Palestinian Islamist “United Arab List”, won 13 seats compared to the 11 the four components of this bloc achieved in 2013. As a response to the rise of the election threshold, introduced with a clear intention to force Arab-Palestinian representatives out of the Knesset (Israeli parliament), the turnout among Arab-Palestinians rose from 58% to 64% and the Joint List became the third-largest alliance in the Knesset. Netanyahu urged the settlers to support Likud rather than Jewish Home – which triumphed two years ago as the political arm of the settlers’ movement – to secure the future of the colonial enterprise in the occupied Palestinian territories. This appeal managed not only to transfer votes from the settlers’ party to the Likud but also to recruit a layer of activists from the settlements. During polling day a group of 1,500 settlers left their homes in the occupied West Bank and headed to the polling stations in Arab towns and villages in Israel to intimidate local voters, under the racist pretext of “fraud prevention among the Arabs”. The provocative presence of the settlers – some of them armed with tear gas, sticks and live ammunition – was officially organised by Likud in collaboration with Jewish Home and Yisrael Beiteinu. In parallel another group of about 700 settlers headed to Ashdod, a working-class port town in the south of Israel, to go door-knocking and get the traditional Likud voters to the polling station. Ashdod, with its primarily Mizrahi Jewish population, was a traditional base of support for Likud. But three days before polling day, Likud had to cancel a big election rally and a visit by Netanyahu to the town out of fear of a low turnout. One of the reasons for that was Netanyahu’s attack on the Ashdod dock workers: during the campaign he participated in a video that tried to show his last government’s achievements. 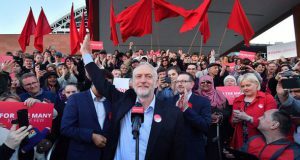 But in fact it cynically mocked all those who were “defeated” by the government – among them: an Ashdod dock worker opposing privatisation, a female worker from the national broadcast company that was closed by the government and a field fighter from Hamas. This video was received with rage by big layers in society and for many it was another indication that Likud was actually losing its traditional voters and might have gone on to lose the election. Just a couple of months after the end of the war the dominant blind reactionary mood in Israeli society began to relatively shift – despite deepening national tensions – with the reemergence of social discontent. Even the president, Reuven Rivlin stated: “Immediately with the silence of the canons and with a surprising speed the public debate went back to terms like inflation and the cost of living … it’s already been for three years that the Israeli public is showing it’s not satisfied with the current system”. 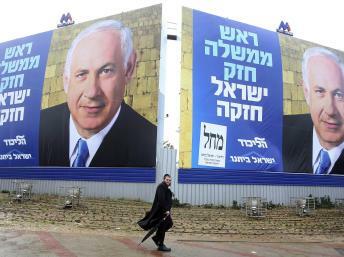 As the election campaign was launched this dissatisfaction was galvanized around a popular slogan “Anyone but Bibi” (Bibi being Netanyahu’s nickname). Indirectly this slogan also reflected the political vacuum on the left. The hopes to oust Netanyahu grew, ten days before the election, when tens of thousands took part in big rally against the continuation of the Likud rule. The platform of the rally however was a mixture of two different opposite camps that were rallying against the Likud for different reasons. On the one hand, there were female speakers who were involved in the 2011 social movement and in the struggle against evictions from public housing. Another speaker was a female resident from the working class town of Sderot, on the border of the Gaza Strip, who stated she’s always voted for the Likud, but after the recent war she decided not to vote any longer for Netanyahu and the right as they can’t provide security. But on the other hand, the platform – that excluded Arab-Palestinian speakers -was mostly dominated by representatives of the establishment and particularly of the army and secret service elite. The two main speakers were an ex-chief and ex-deputy chief of the Mossad intelligence agency. They are an indication of the debates and disagreements within the ruling elite with the background of growing international isolation, the geopolitical crisis in the region and the intensification of the national conflict. Needless to say, those generals who were implicitly calling for a vote for the Zionist Camp to oust Netanyahu are part of the problem and not part of the solution. The Zionist Camp differs with Likud in its approach to foreign policy and on some questions of strategy and tactics that are used by the regime against the Palestinian struggle, but not on fundamentals – the continuation of national oppression and expropriation of the Palestinian masses. During last year’s 50 days of war on Gaza, Tzipi Livni was to some extent Netanyahu’s closest coalition partner and Labour party leader Isaac Herzog supported Netanyahu’s course from the ’opposition’. During the election campaign the Zionist Camp tried to attack Netanyahu from the right and proved time and again that their differences with Likud are minor. But nevertheless the opposite camps in the election tried to polarise the campaign: the main slogan of Likud was “it’s either we or the left” and the slogan of the Zionist Camp “it’s either we or he”, referring to Netanyahu. The Zionist Camp did manage to get a higher vote than Likud and the rest of the right parties in both Haifa and Tel Aviv – two of the three biggest cities. There were no strong illusions in the Zionist Camp but rather a desperate hope of parts of the Israeli public that it could be an instrument for disposal of the Likud regime. This was a preference for a ’lesser evil’ and not a mass expectation for an actual changeover in policy. The lack of enthusiasm for its rivals along with the geopolitical crisis in the Middle East, with the rise of Isis and other jihadist groups, also in Sinai, assisted Likud to take advantage and ride on the Israeli public security concerns especially among the traditional voters of the right. The final composition of the government coalition is going to be decided in the next weeks, but it’s already clear that Netanyahu will go for the so-called “government of natural allies” with the far right and religious Haredim parties and Moshe Kahlon – a split from Likud. 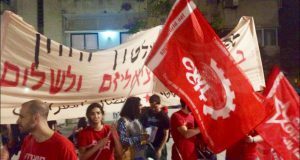 Of course it’s impossible to predict the exact speed of developments and the sense of disappointment and demoralisation affecting broad layers of the working class and middle class after Netanyahu’s victory shouldn’t be underestimated, but a prolonged honeymoon for the new government is very unlikely. Internationally Netanyahu starts his fourth term in a much more isolated position, especially after his statement a couple of days before the election that no Palestinian state will be established on his watch. The western imperialist governments’ fear that Netanyahu’s regular refusal to contemplate any significant concessions is preparing the way for future conflicts. Immediately after the election Netanyahu conducted two interviews with American media outlets to try to blur his position but without much success. Even Obama was pushed to reject these attempts by saying: “We take him at his word when he said that it [establishment of a Palestinian state] wouldn’t happen during his prime ministership”. 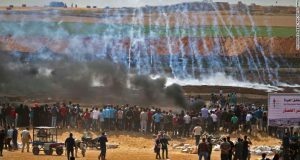 For the Palestinian masses in the occupied West Bank and besieged Gaza the outcome of the election diminished even further support for negotiations with the Israeli regime. Netanyahu’s racist scaremongering that “Arabs” were voting and his demand that Israel is recognised as a Jewish state, ie one in which its 20% Palestinian population is at best merely tolerated, means that Palestinians expect nothing but the worse from his rule. This notion can pave the way for a new mass uprising against the occupation and national oppression. The economy’s trend is likely to compel the new government to launch new attacks on living standards and on organised labour which can push workers and youth to both offensive and defensive struggles. The components of the future coalition are already planning further attacks on democratic rights and civil liberties and new racist legislation against the Arab-Palestinian minority inside Israel. This will generate new rounds of rage and protest. The increased vote for the Joint list in the Arab-Palestinian towns and communities indicates a thirst for change and for an effective struggle against racism and discrimination. Now, despite the limitations of this bloc, which encompassed both left wing and conservative elements, there are high expectations among its voters and activists for steps in this direction. Two days after the election the head of the Joint List, Ayman Odeh, called for a march from the rural Bedouin villages in the Negev, which the government doesn’t recognise as legal, to the Knesset, before the date it is sworn in. During the last phase of the election campaign he called for the organisation of a march of tens of thousands of Jews and Arabs for equality in the tradition of the Martin Luther King US civil rights marches. This kind of action can be a good starting point for building the movement in Israel that is needed to stop Netanyahu’s new government in its tracks, particularly if organised around both democratic rights for all and wider social demands for welfare, housing, livelihood and peace. Socialists will strive to help build such a movement while, at the same time, arguing for a socialist way out of the horrors of national oppression and class exploitation which are nourished by Israeli capitalism.